So a little birdie tells me there is a certain big game coming up this weekend. While I couldn’t even tell you what teams are playing in this game, I seriously had to just ask my husband, I can tell you that I am beyond myself excited for commercials and delicious food. Football food is really one of my greatest passions in life. That may be a slight exaggeration, but I like it. A lot. I’m not even one to eat spicy foods regularly but I love hot and spicy foods when watching football. We love having friends over to watch games, and since Tom got a bigger TV for Christmas we are hoping our friends will want to come to our house for the big game this weekend. 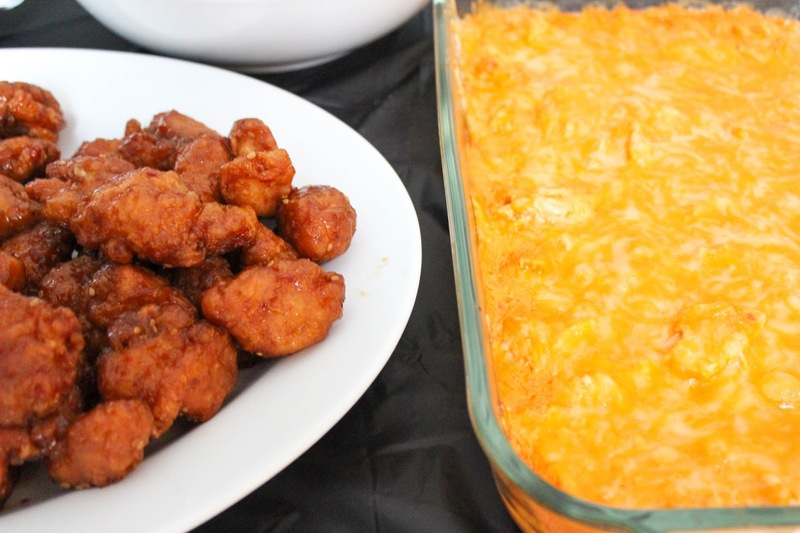 The dishes I know I will be serving are fresh deli hot wings and a legendary buffalo chicken dip. Everyone knows you can’t make the good chicken wings at home, so naturally I will be picking them up Tyson Wings from Walmart Deli. 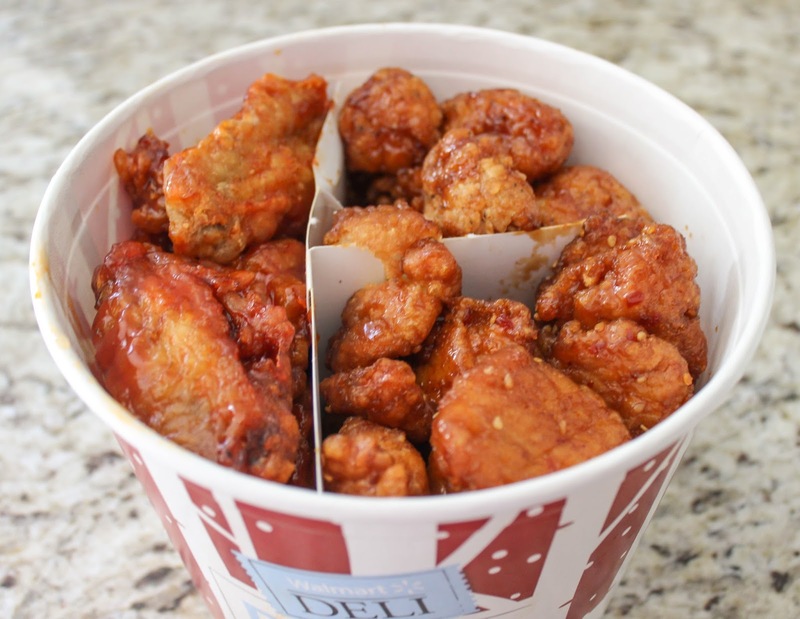 I couldn’t wait for the big game so I picked up a Pick 3 Bucket this last weekend and filled it with general tso’s, boneless barbeque, and bone-in hot wings and took them home. My husband was basically standing over my shoulder just waiting for me to finish while I took pictures of the wings. In fact, when I told him he had to wait until I was done with the pictures to eat any of the wings he said “This is torture.” All of the variations were delicious, but the hot wings were just out of this world good. They aren’t overly spicy (I’m a wimp and I could handle them) but my husband who is a spice lover said they had enough kick to satisfy him. They are crispy yet drenched in delicious sauce for the perfect texture and taste combination. 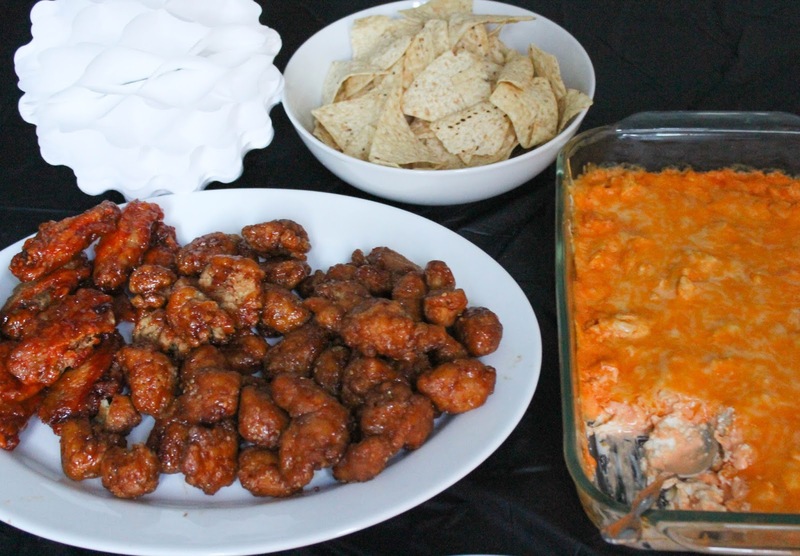 Dips are another football watching staple. 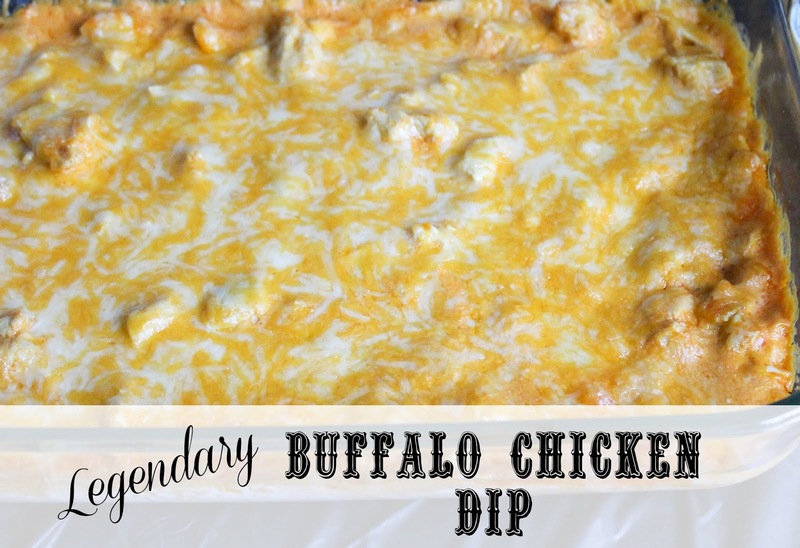 I do almost all the cooking in our house, the one exception is this buffalo chicken dip we make for almost every event we throw or attend, in which case Tom takes over the kitchen. And it’s worth it because this stuff is amazing. It’s actually his mom’s recipe (as all our favorite recipes are) so maybe I should name it after her. 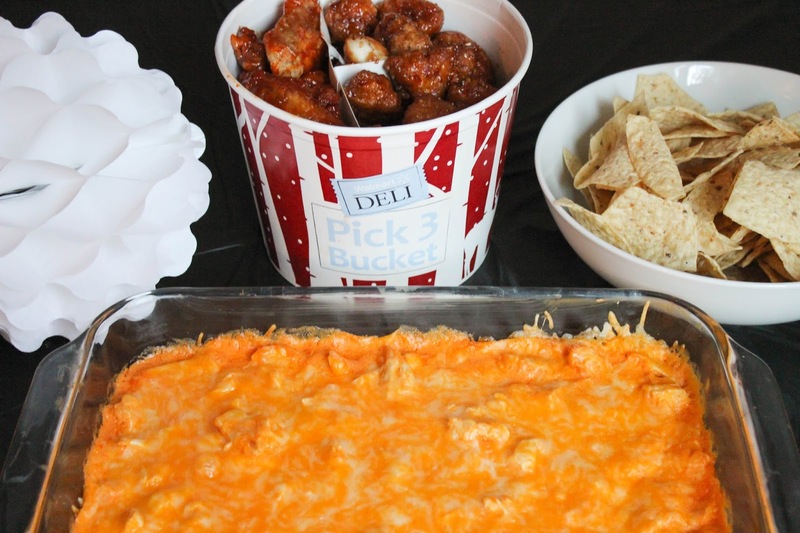 One way to make this dip even better? Shred up some boneless wings and use as the cooked chicken. Double yum. 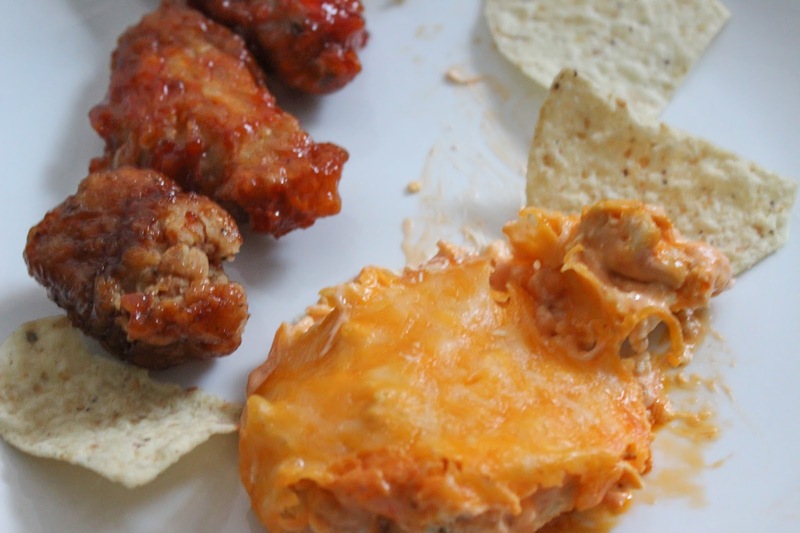 Or do what my husband did and dip your wings into this dip. He was in heaven. (1) Preheat oven to 350 Degrees Fahrenheit. Take cream cheese out of packaging and press evenly into the bottom of a glass baking dish. (2) In a bowl combine the ranch dressing, buffalo sauce, and the chicken. Pour on top of cream cheese and ensure it is evenly distributed. Top with cheese. (3) Bake for 25 minutes or until bubbling. 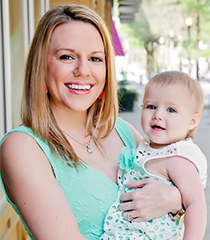 So friends – select Walmart stores will be having demos with these life changing wings this weekend! Here is the link for a list of stores and the dates of the demos. Plan on attending between 12-3 PM on the date listed. 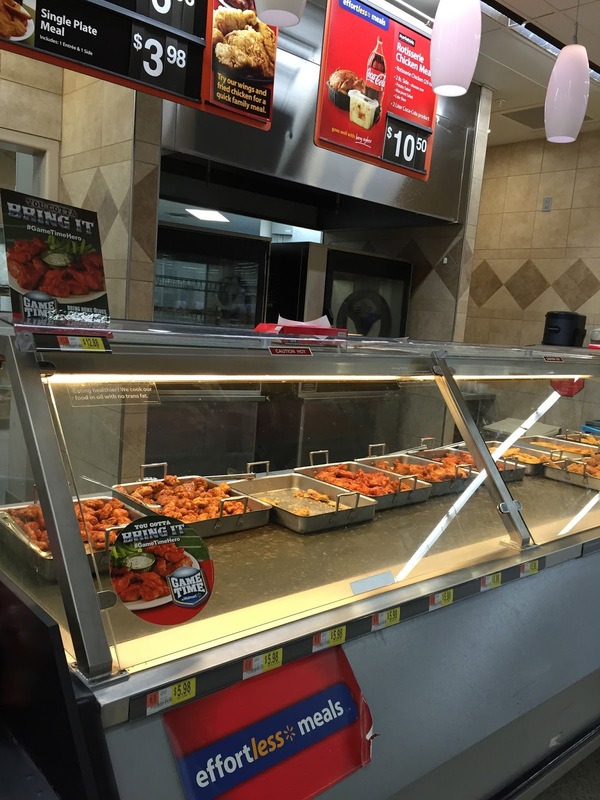 Tyson Wings for Walmart Deli are already cooked and just waiting for you to take them home with you in the Walmart Deli (these are not frozen wings). Don’t forget to follow Deli Anytime on Twitter, Pinterest and Facebook. 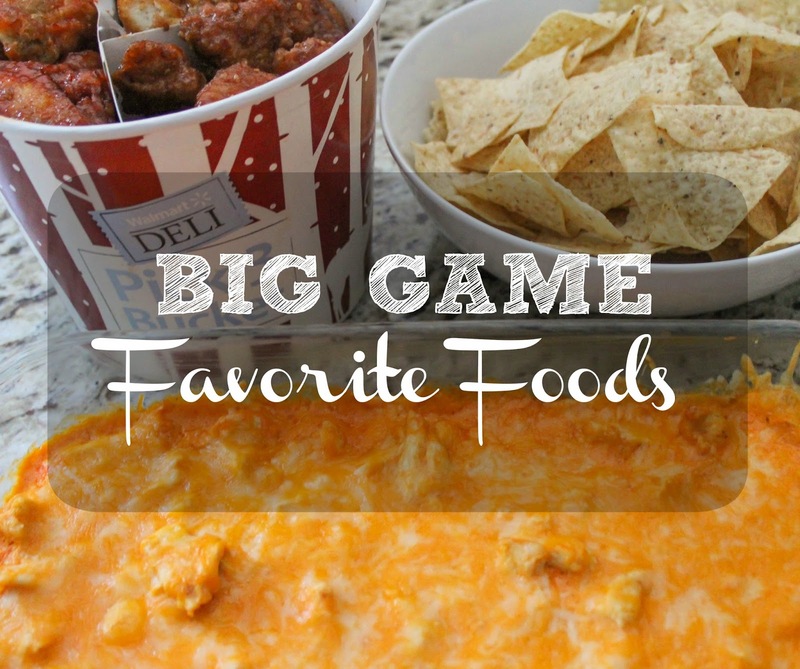 What are you doing to get ready for the big game? My husband would love the dip! I know people that like to add blue cheese to it, I can't stand blue cheese though so I leave it out!